We just received a small stash of late 1960’s Telefunken AC701 microphone tubes in original boxes. Though these do not have the "K" on them, these are the equivalent to the AC701K. Read more about why below. Sourced from a German tube distributor, these are some of the last un-used, NOS AC701 available anywhere. Concerned that these are not AC701K versions? Don’t be - since 1965 Telefunken only made frame grid AC701 (same as the "K" version) so there was no need to specially mark them since they were all "K" versions by that time. Also, these tubes have the red indicator mark on them. Telefunken also sold RFT made AC701 under the Telefunken name and those can be rather noisy and more microphonic than the Telefunken ULM made AC701. 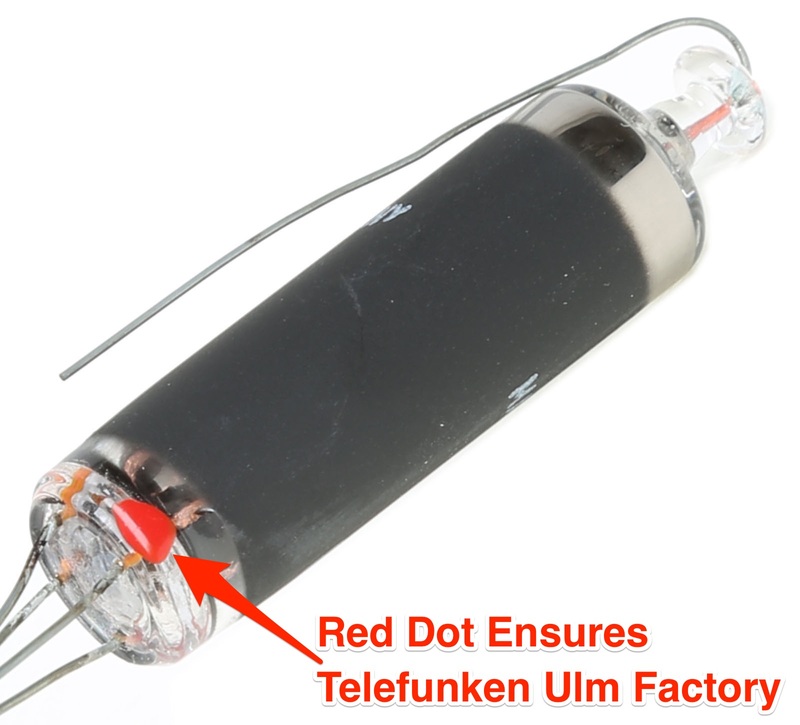 RFT made AC701 had a white dot versus a red indicator dot applied only by Telefunken ULM. The date code shows these were made by Telefunken ULM post 1965. In the date code, if you have U for Ulm and then two letters sometimes with two numbers it is made before 1965. If you have a U and seven numbers then it was made by Telefunken ULM after 1965. All of ours have the same date code of "U4109203". Finally, the last two digits in the date code represent the design revision number, with 03 being the final version for the AC701. 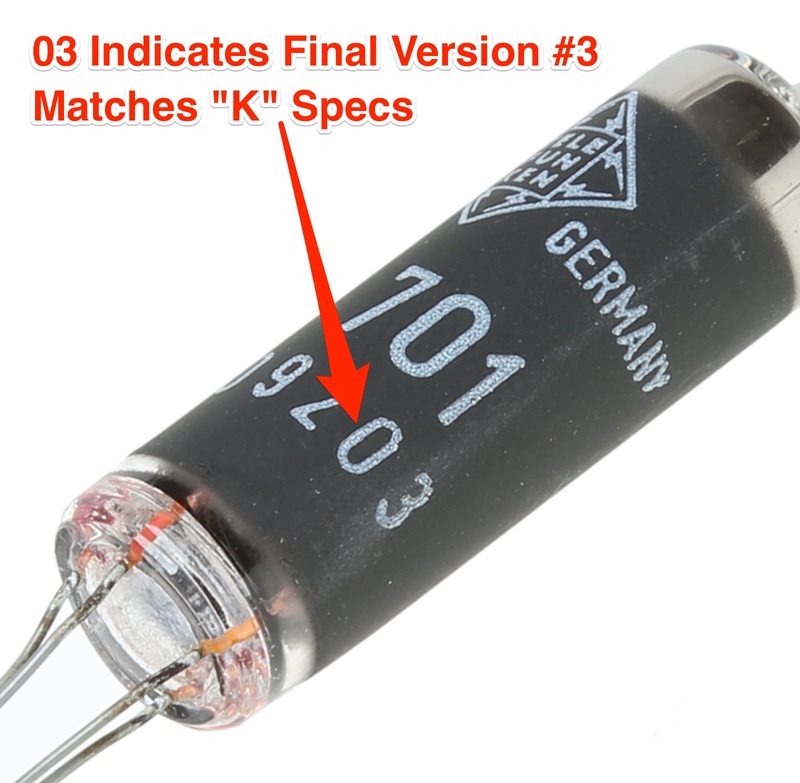 All tubes with the 03 revision level match the AC701 ’K’ specs.